Do students at UVic have the right to party? In the fall of 2015, first-year student and 18-year-old Elliot Smith headed across campus to meet up with a group of friends outside the Poole residence building and head to a party. He had a case of Lucky beer hidden under a hoodie at the bottom of the backpack he was wearing. As Smith and his friends walked past two Saanich Police officers and a Campus Security officer, they were told to stop and open their bags. The officer opened Smith’s backpack and saw the hoodie. He kept searching, taking out the hoodie and coming across the beers. “I stopped him and asked what he was doing in my bag,” said Smith. He thought the officer was just going to look in the bag, not rummage through it. The officer replied by asking Smith if he wanted to come down to the station for not complying. The officer issued him a $270 ticket for underage possession and a warning for a $270 charge for open alcohol. Smith felt that the search had been unreasonable. His experience is, unfortunately, far from unique, and it illustrates the tension between police and students due to the lack of clarity about a student’s rights on campus and police inspection. UVic does not have the same party reputation that universities like Queen’s University or Western University have, but many assume that it is B.C.’s party school. 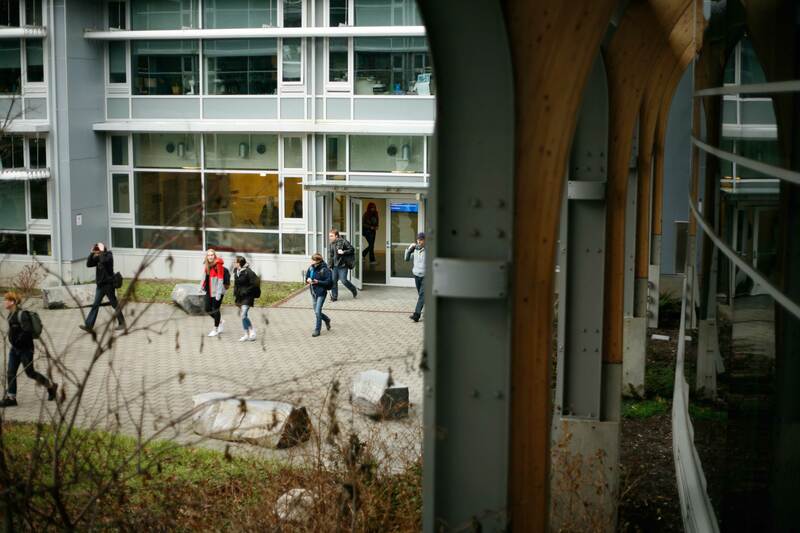 “Out of UBC, SFU, and UVic, for some reason, a chunk of people seem to think that UVic is a party school,” Zack Wheler, a Community Leader at UVic for two years, told the Martlet. The wild first weekends in residence don’t help to contradict this party school reputation. My first night in residence was in the fall of 2015 and it was crazier than I could ever have imagined. Hundreds of students were racing around the cluster field covered in free UVic face paint, yelling, chatting, dancing, meeting new people, and drinking. The tiny cluster living rooms were decked out with black lights, wannabe DJs, and crowds that made you feel like a sardine. Nothing can prepare you for that first night, and UVic knows this. 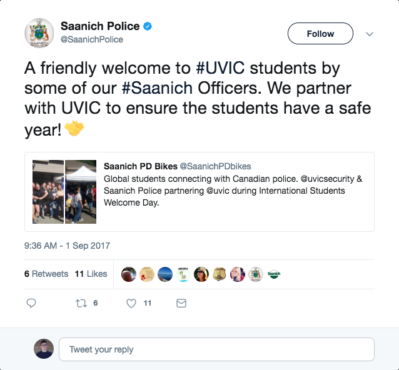 To combat the residence-wide party, UVic allows Saanich Police to patrol the campus on weekends to protect students during their nighttime activities. They are also on the lookout for underage drinking, public drunkenness, and open alcohol. This police presence has, however, caused issues for a lot of students. While many parents and students alike are happy to know that police are on campus for protection, some students feel that the police presence has become too extreme. She lived in residence during her first year and felt that the police were focusing too much on searching people’s bags, and not enough on making the campus safe. Cassie Terepocki, a second-year History student who lived in residence in 2016, said it can feel like the police are suspicious of every student. “I feel like a suspect in a way because they go a bit overboard,” she said. When it comes to rights, there is no difference between walking down Ring Road versus Blanshard Street. She mentioned that she and her friends knew the rules about underage drinking and therefore only drank in their dorms. Drinking in your dorm room, or one you’ve been invited into, is allowed by the Community Leaders in residence because it’s considered your property, said Terepocki. What students don’t know about is their rights when it comes to having their bag, or their person, searched by police. “I’ve been told that when you’re on campus, you have to let the police search you,” said Carden Serviss, a second-year Social Sciences student who lived in UVic residence. This widely-held attitude struck a chord with Bryant.“I believe I can refuse if they don’t have a specific reason for wanting to search me, but I wouldn’t be comfortable enough in my knowledge to actually refuse a search if I was asked,” she said, adding that she has agreed to be searched a few times because she didn’t want to argue with an officer. Smith soon realized that his experience may have been a breach of those rights. His father is a police officer who informed Smith that warrantless searches, like the one he was subjected to, aren’t legal. His father advised him, but stayed out of the situation. “My dad basically let me deal with it because it was my problem,” said Smith. Based on his father’s advice, Smith filed for a court date. In June 2016, eight months after the search, he went to court with the officer who’d ticketed him. Smith chose to represent himself at the hearing. “I was a little nervous [about representing myself], but also anxious to tell my side of the story and hopefully have the judge understand my frustration.” He explained that traffic court is not like a criminal court case — there’s no jury and most people don’t hire a lawyer. The judge, Judicial Justice Hunter Gordon, decided to look into the case further and then mail his final decision to Smith. The “boxiness” of the backpack didn’t matter, Gordon said; the officer should not have searched it. “I think some people were surprised that I took it to court, let alone [that] the judge [ruled] in my favour,” said Smith. Smith won his case because he knew his rights, but unfortunately not everyone at UVic does. There are so many different stories going around regarding what a UVic student’s rights are when on campus. A lot of students are still subjected to unlawful searches and end up with fines that they shouldn’t have to pay. Other students, however, are ticketed because they simply don’t know the laws surrounding underage drinking and open alcohol, or because they don’t understand the severity of being caught. According to the B.C. Laws website, under the Liquor Control and Licensing Act Section 40, consuming liquor or possessing liquor in an open container in a public place will result in a $230 fine. Students and their guests alike are often unaware of the hefty fines they can face, forgetting that campus is still a public space. 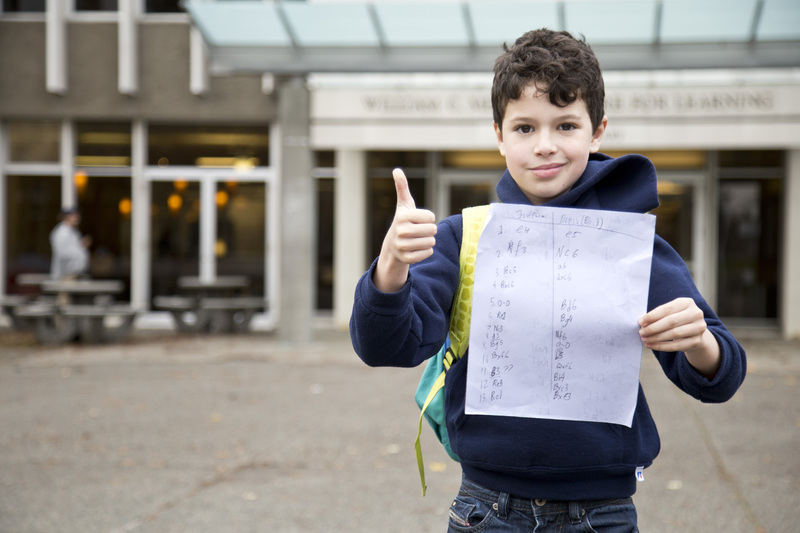 Nolan Easton is a student at the Langley Flying School from Abbotsford, who visited some friends at UVic in October 2015. He was 18 at the time and was heading out for a night of cluster parties. He was carrying an unopened can of Rockstar Vodka and an open can of Coke with Crown Royal. Like Easton, many students are wary about the police presence as a result of the lack of communication. The Martlet spoke to Sam, a worker in UVic’s residences for four years who requested a fake name for the interview, about the lack of understanding students have about liquor ticketing. During their time as a Community Leader at UVic, Sam has known students from all over the party spectrum. There are those with good intentions who make an effort to be safe, and then there are those who are on the rowdier side. “We want students to have a good time, but we don’t want to create the atmosphere that can lead to unsafe behaviour,” said Sam. Sam, a residence leader, said those students who have been ticketed are far more wary about drinking publically in the future. Some students are careful about where and how they party. They may have a small amount of alcohol in their bag, but they make sure to conduct themselves respectfully in public. Unfortunately, it doesn’t always matter if you’re drawing attention to yourself or not. “[They] come back [with]…a bottle of Coke [with] a little bit of rum in it still, and it’s in their backpack, and they’re walking through cluster on their way home, and they get stopped by a cop and get a $230 ticket for having open alcohol,” said Sam. Others are arguably more deserving of their fines. Sam said those students are far more wary about drinking publically in the future. Receiving a ticket for having open alcohol or being drunk and disorderly in public may seem like a one-off experience, but in reality, it is one small part of a larger conflict on campus regarding UVic’s reputation as a party school. As it stands, the University is constantly making efforts to control UVic’s party culture: limiting the number of large-scale campus parties and increasing the number of quiet and themed residence communities to stop building-specifc reputations from forming. If a residence building gains a reputation for being the best place on campus to party, UVic Residence Services ensures that next year, the building is home to a themed floor (‘active living’, for instance, or ‘leadership’) or a quiet floor. Take the residence neighborhood of Gordon Head, for example, which includes four residences: Haig-Brown, Wilson, Poole, and Wallace. In what Sam considers a response to a year of partying and vandalism, UVic Residence Services turned the floors of one of the buildings in Gordon Head into a quiet floor. Students living on the floor must request to live there, and do so in order to study without late-night, social distractions. According to Sam, the residence leader, the university situates these floors for a purpose. The quiet floor discourages partying in a building — which Zack Wheler, a residence leader for two years, attributes to both due to a smaller population willing to be loud in their rooms and a greater tendency for students on a quiet floor to report noise. Joel Lynn, UVic’s Executive Director of Student Services, commented about quiet floors on UVic’s behalf. But there are constant efforts to bring back some form of party culture to UVic, in large part from the student union. The 2016-2017 UVSS board were major proponents of big campus concerts. 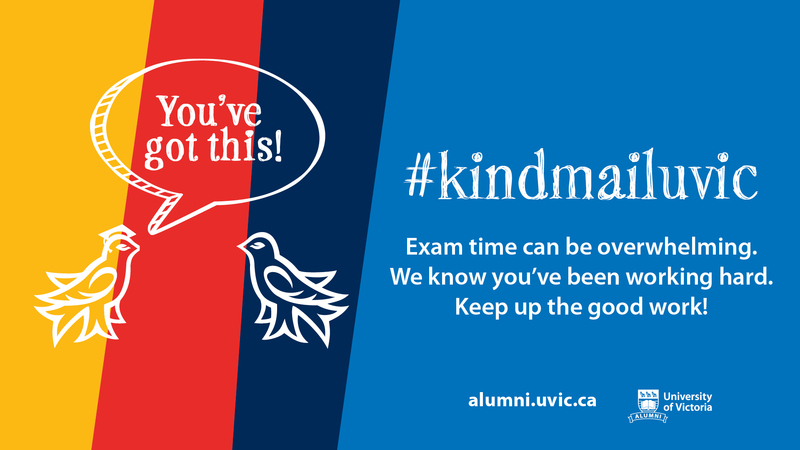 Their official back-to-school hashtag was #MakeUVicLitAgain — an acknowledgement that UVic needed a more active party culture. But the UVSS still hasn’t held a campus-wide concert. While large campus parties are expected to require administrative work, a former UVSS Executive Director confided to the Martlet that they believed UVic made things more difficult than they needed to be in order to avoid increasing a party school reputation. “They’re definitely worried about that [kind of reputation],” the former Director said. “The image of their school takes priority over the fun events that we were trying to do. Despite the UVSS’ best efforts, UVic’s approach may be working. Wheler hasn’t seen any indication in his time at UVic that reality matches the notion that UVic is a good place for large-scale campus parties. During their time in residence, residence leader Sam found that the Saanich Police crack down hard during the first few weeks as a way to solidify the severity of the potential punishment in students’ minds and to set a precedent for the rest of the year — similar to the way professors often act tougher at the beginning of the year to ensure the respect of their students. The Martlet emailed and called Saanich PD for a comment on their ticketing method, but received no response by press time. Sergeant Leslie said that he and the Saanich Police would be interested in having a meeting with all the first-years at the beginning of the year to introduce themselves. The meeting would inform the students about why the Saanich Police are on campus, to make sure that everyone knows their rights, and to reinforce the rules surrounding underage drinking. However, Sergeant Leslie said that this would be up to the UVSS to co-ordinate; the Saanich police cannot set up this kind of meeting. When reached for comment, Anmol Swaich, Director of Campaigns with the UVSS, said she would be happy to open communications between the UVSS and Saanich PD. Sam sympathized with Smith, but said that most students they’ve talked to understand what the police are doing on campus. Smith hopes that his experience will help remind the Saanich Police to treat students fairly and that students will be more aware of their rights as a result.